"All Geeked-Up for the Deadline..."
The Flyers returned to the friendly confines of the Bank Building after taking 5 of a possible six points on their highly successful three-game road trip. After manhandling the Montreal Canadiens, by the score of 2-1 at the Bell Centre last evening, the Flyers knew they were coming home to face the Atlanta Thrashers. Yes, the same Atlanta team they steamrolled 7-0 little more than a few weeks ago. As the saying goes, a little knowledge can be dangerous. This was a trap game, plain and simple. The Flyers have owned the Thrashers in Philadelphia for the better part of the last three years and were poised for a letdown against a Thrashers team which had won their last five consecutive games and were looking to set a franchise record with six wins in a row. While the team from Atlanta had the same personnel, their attitude and results over the last two weeks were anything but similar. Showing little rust, the Orange and Black jumped out to a quick 1-0 first period lead on a highlight reel forehand to backhand breakaway by red hot, Simon Gagne from deep in his own end just 0:53 into the game. Gagne's 11th goal illustrated his phenomenal speed and open ice ability as he completely turned Johan Hedberg inside out. 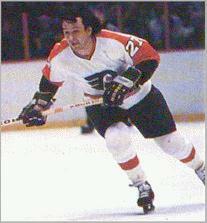 The Flyers carried the play well into the latter stages of the period and took a 2-0 lead on a gorgeous rink wide pass from Simon Gagne to Mike Knuble, who buried a wristshot past Hedberg for his 7th of the year at the 19:39 mark of the first. The Flyers took a 3-1 lead into the third, on a second period goal by Kimmo Timonen for his second of the year on the powerplay. Bryan Little brought the Thrash within a goal when his initial was stopped by Antero Niittymaki, but bounced off rookie defenseman, Luca Sbisa. Thirty-six year old, Slava Kozlov tied it at three in the twelfth minuted, as he banged in a rebound at the doorstep for his 10th of the year. All of a sudden, the Flyers looked as if their legs were a bit on the rubbery side as they got caught running around in their own zone chasing the puck. Stellar play by Niittymaki kept the wolves at bay until the thirteenth minute of the third period, when Joffrey Lupul took a puck near center ice and weaved his way to just above the left circle. Lupul faked as if he was going outside but then put on the breaks, in a move that can only be described as "physics-defying," and broke back inside. #15 wound up and absolutely blasted a slap shot 5-hole on Johan Hedberg that I don't think he even saw. Flyers up 4-3 and go on to win on Lupul's GWG. This rather long winded summation finally bring me to my point...which Joffrey Lupul are you going to get on any given night? This is a question that must cause GM Paul Holmgren and coach John Stevens to reach for more than their fair share of Rolaids tablets. When he plays the body and is physical, Lupul can look like the 7th player taken in the 2002 draft by the Ducks who totaled 53 points in his second year with Anaheim back in 2005-06 and the player Philadelphia hoped it was getting when he was part of the four player trade that brought he and Jason Smith from the Oilers back in 2007. When he plays the perimeter and tries to play a finesse game, he often looks like the player that disappeared in Edmonton with just 28 points and a -29 rating and was recently demoted to the 4th line by coach Stevens. So which is it? A riddle, wrapped in a mystery, inside and enigma. Joffrey Lupul now has seven goals to go along with a lone assist for eight points, good for a 6th place tie on the team in points. There's no questioning the right winger's skill, as evidenced by his eye-popping move to set up the booming slapshot that ripped the twine behind Johan Hedberg. How far Joffrey Lupul's talent will ultimately take him is largely dependent on that thing which beats inside his chest. It is desire, competitiveness and the willingness to play with an edge which could largely define the Philadelphia career of #15. "The Riverton Rifle," Reggie Leach, once said, "success is not the result of spontaneous combustion. You must set yourself on fire." Perhaps taking to heart some words from another Flyer right winger might help Joffrey Lupul become less of an enigma and more ablaze. if you ever watched youngblood, remember the scene when deaner gets plastered partying all night and then the next day at practice hes all hung over? here you have it my friend.. mystery solved! I like Lupul, and I truly hope he finds some consistency because the guy definitely has the talent. Maybe he is, as some say, just partying a little too much for his own good. I hope not, but he wouldn't be the first. 13 What about HockeyBuzz is so special? 10 The Heart Trophy - Who has it? 26 SYF's Top 10 List - Players you would like to see this year? 20 Flyers - Hurricanes...Holy Schnieky!!!! 08 - Physics, Respect, Fighting and Relevence? 14 Philadelphia Flyers: How Long to the point of know return? 06 VENGENCE!!!!!!!!!!!!!! Bring on the Caps! 17 YESSSSSSSSSSSSSSSSSSSSSSSSSSS! Knubs wins it in 2nd OT! 28 FLYERS Hold on for 3-2 victory - Game 4 to be a War! 03 Bravo to Les Glorieux!!!! 15 Irresistible Force, List of FIRSTS and Pearl Harbour?? 19 Nothing left to do but smile, smile smile...Kudos to Pens!!! 24 The Mullet returns...7th Sign of the Apocalypse?? 22 the NHL-Just How Big is the Elephant in the Corner?? 03 C...What's in a letter????? 29 The Philadephia Phillies are the 2008 World Series Champs!!! 03 The Wayback Machine: Who or what you pay to see?? 24 Merry Christmas and Happy Hanukkah to all my HB Friends!!!!! 01 Happy New Year HBers!!!!!!!!!!!!!!!!!! !